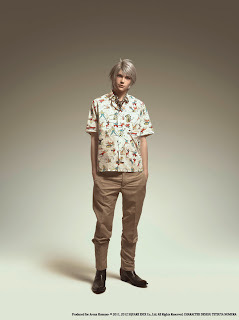 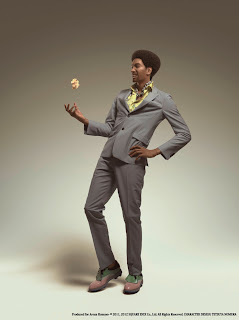 In a crossover that literally nobody saw coming, Square-Enix have announced that in the latest issue of fashion magazine Arena Homme+, characters from Final Fantasy XIII-2 have donned Prada’s 2012 Spring/Summer mens collection to help celebrate the 25th anniversary of the Final Fantasy series. Going on sale on April 12th, you’ll be able to see Lightning, Noel, Snow, Sazh and Hope styled out in Prada’s fetching Spring/Summer wear. 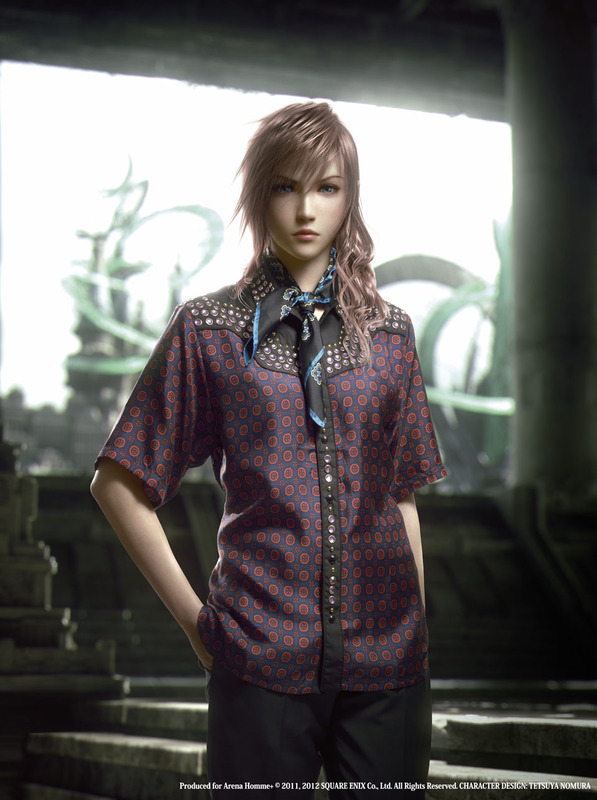 “The FINAL FANTASY series is known for its creativity and innovation; so working with Prada, a renowned fashion house with such beautiful clothingwas a very exciting opportunity. 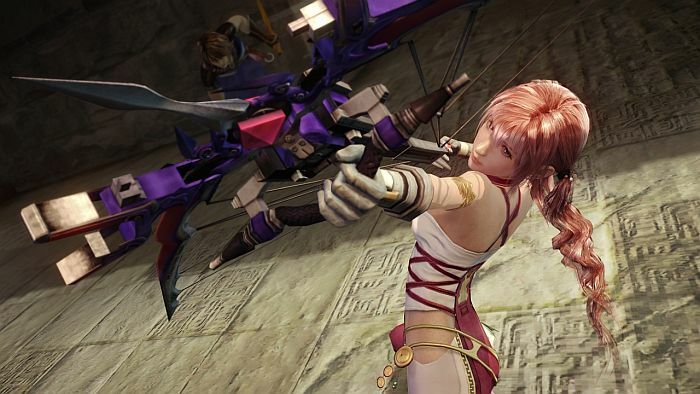 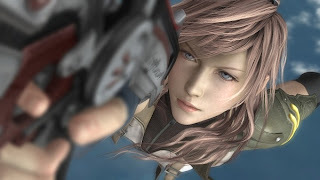 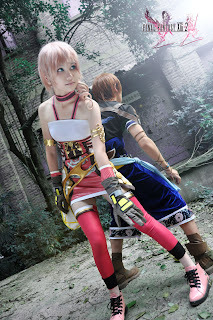 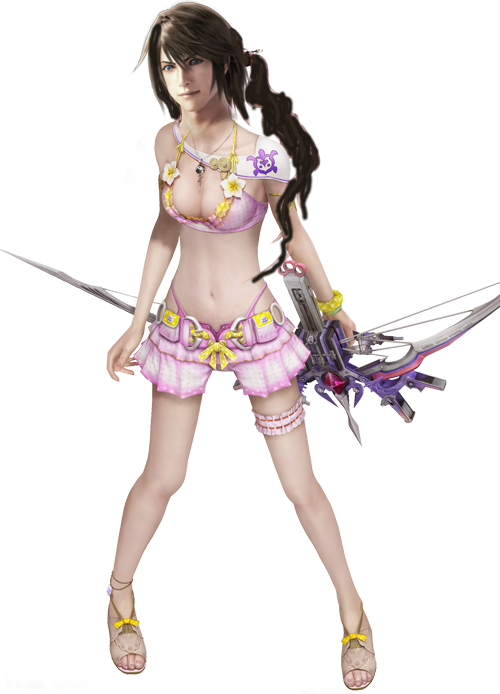 The images we have been able to create together are vibrant and unique,” said Yoshinori Kitase, producer of Final Fantasy XIII-2. The twelve page feature, includes key looks from Prada’s Spring/Summer ’12 men’s collection, which is regarded as one of the best this season. 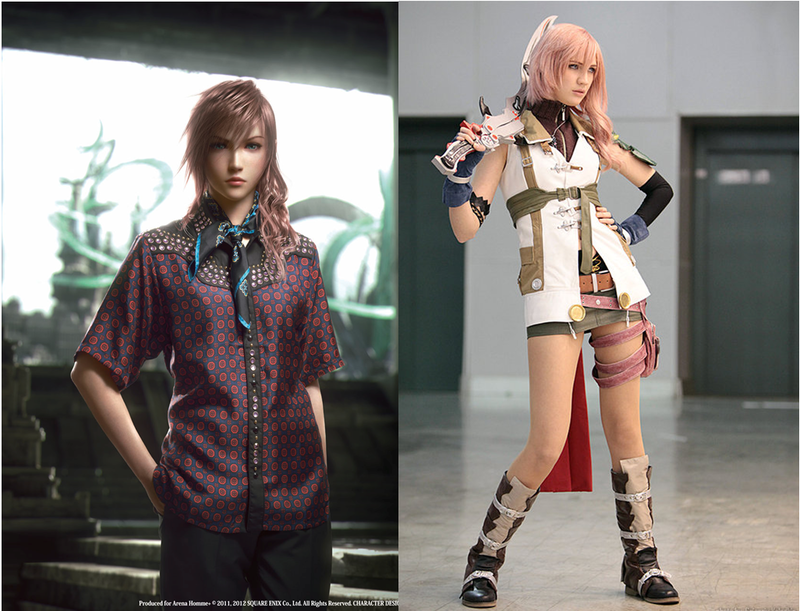 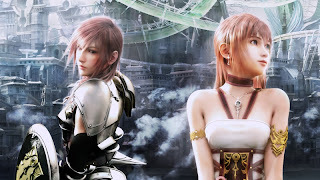 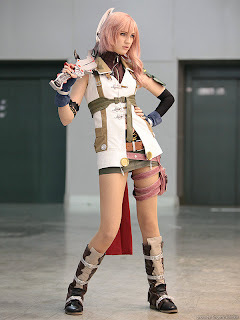 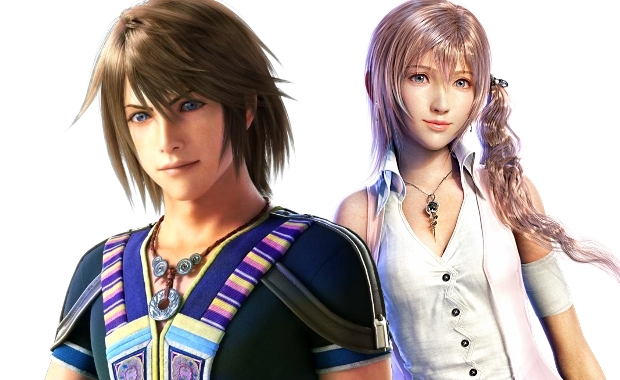 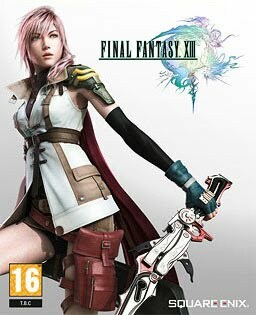 Thanks to the CGI wizardry by Square-Enix’s Visual Works studio in Japan and the Final Fantasy character designers, the cast of Final Fantasy XIII-2 haven’t looked more human than they do now. 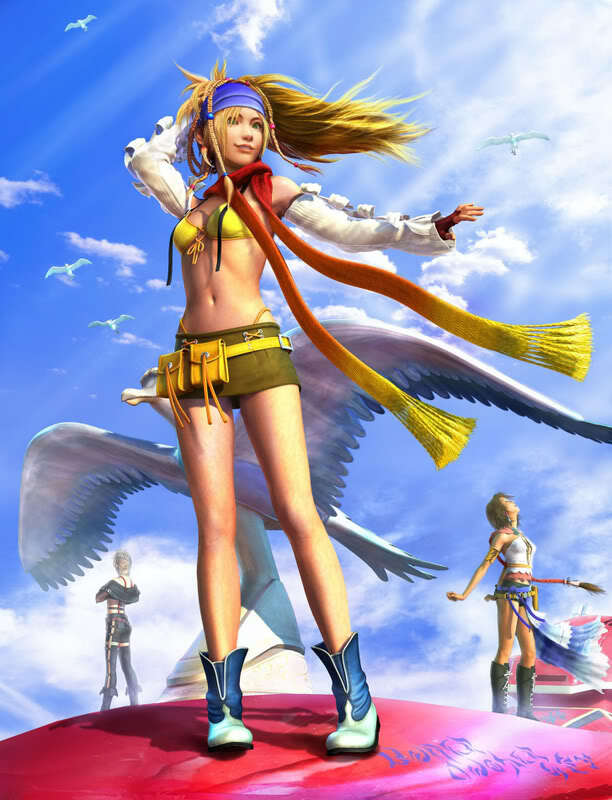 Interestingly, Steven Poole – columnist for Edge Magazine and writer of Trigger Happy - also writes the article that accompanies the feature. 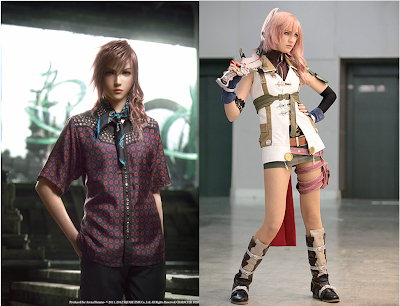 Below are four images from the collection, and strangely, we’ve never seen Lightning looking quite so fetching. 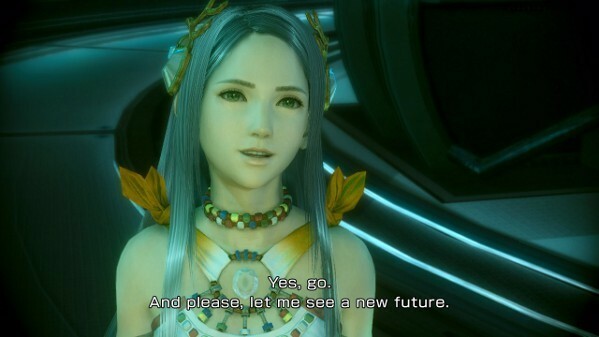 Maybe this is a nice direction to go in for future Final Fantasy titles?